Another afternoon fade in the broad market reinforces the idea that this market is anything but cocksure about how Fed Chair Powell will navigate tomorrow's FOMC. After all, he has not been Chair for very long, and the market remains more skeptical of him than they were of Bernanke and for various parts of Yellen's term. Technically, the QQQ simply failed to hold back over $159. And unless bulls surge during this final half hour of trading we are headed towards another wobbly close in front of a know, defined risk event tomorrow. To add more significance to the events of tomorrow, plenty of traders will be closing shop until the first or second week of January. So, the market's reaction will be pivotal, to say the least. Another way to view this market is that the Fed is not as important as we think, and that the slide in crude oil is a deeper concern. Two things about that: 1) The crude slide may be more about too much supply than rapidly shrinking demand, and 2) The much weaker oil may force Powell to back off the hawkish course of action as perceived inflation fears dwindle. What we do know, however, is that bounces continue to be sold while volatility is staying bid, while gold and her miners are acting better than they have in a good while. 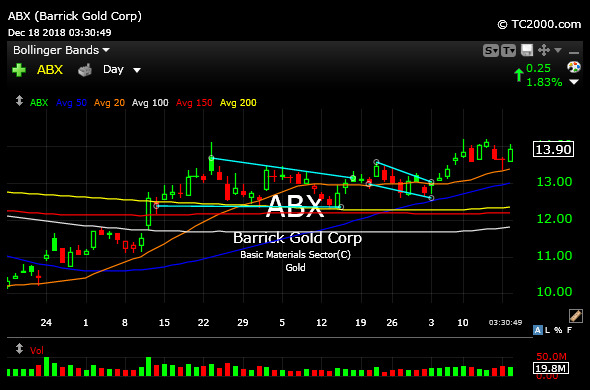 A large cap gold miner like Barrick Gold, below on its updated daily chart, for example, is setting back up. I had previously played the name, but am looking for reentry over $14 if gold withstand the Fed test tomorrow. 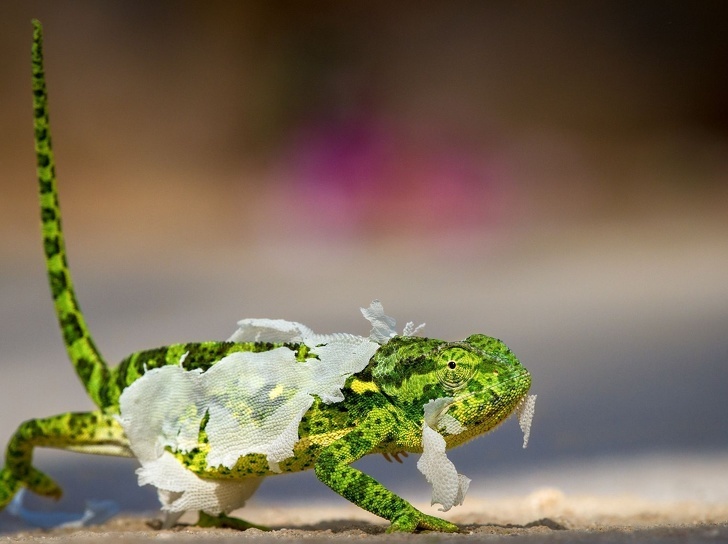 One thing is for sure: While many will be discussing hawks and doves tomorrow and beyond, as long as the market continues to operate in this manner as traders we are forced to become chameleons and quickly adapt to various rotations, fades, and new safe havens.